With Autumn in full swing, the days are getting shorter, the hot water bottle has started to make an appearance (at least it has here in Nottingham), and all you want to do is snuggle up on the sofa with a mug of hot chocolate and a slice of Banana Bread to watch ‘just one more episode’ on Netflix… Sound familiar? 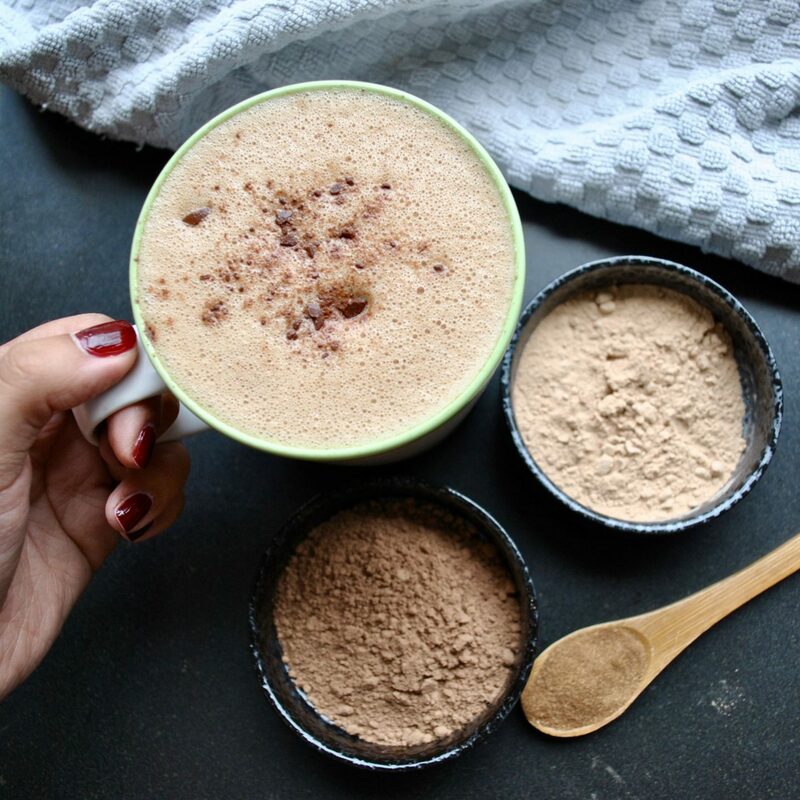 Unlike your traditional branded hot chocolate, which is loaded with sugars and heavily processed ingredients, I’ve created this Brain-Boosting Hot Chocolate with Magic Mushrooms – no, not the kind that give you a psychedelic experience! 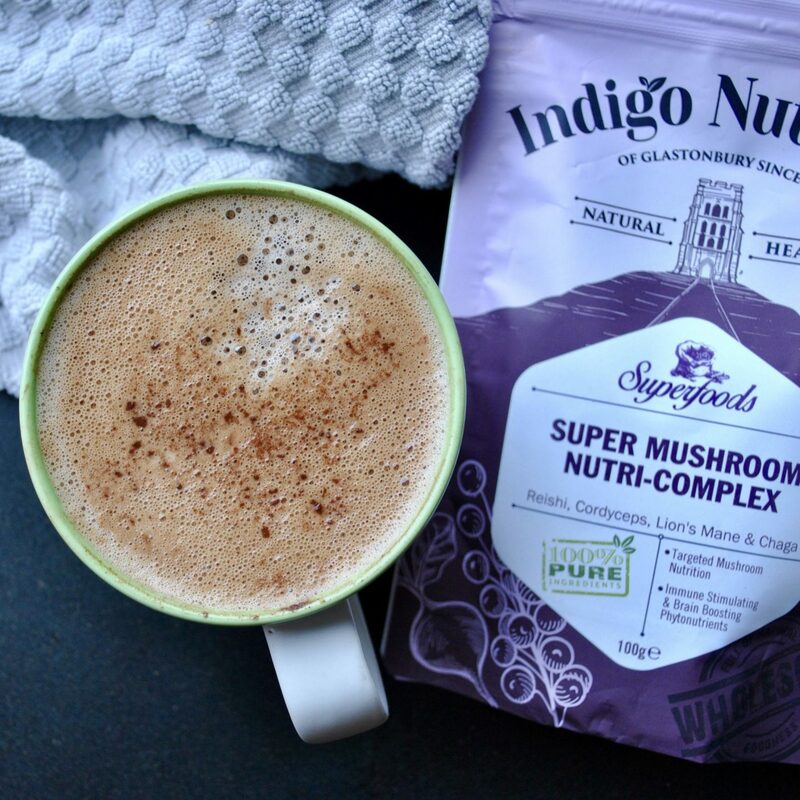 I used Indigo Herbs’ Super Mushroom Nutri-Complex, which is a blend of medicinal mushrooms with some incredible health benefits (more on that below). 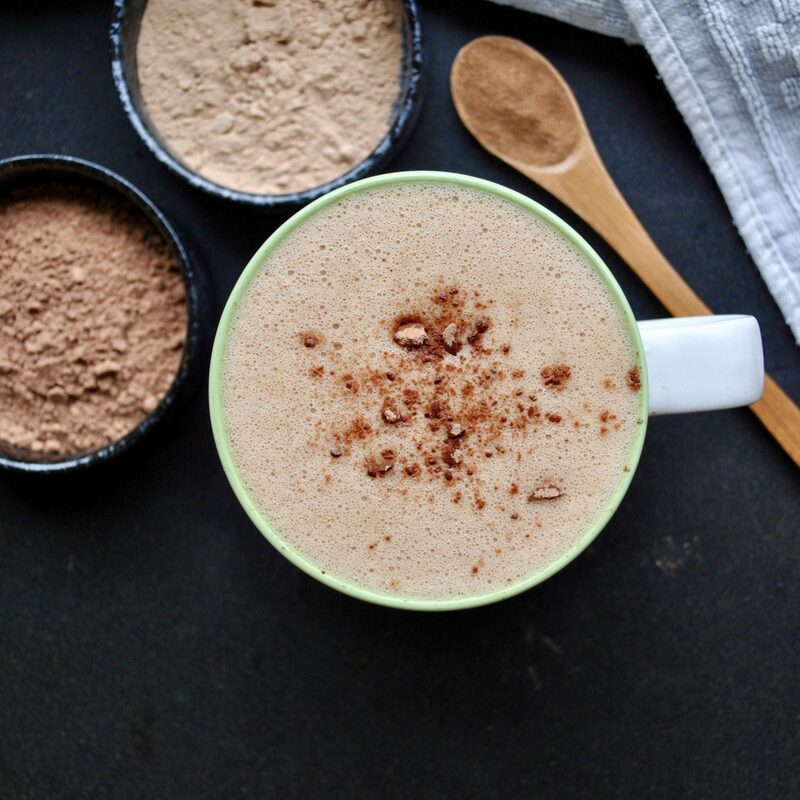 This deliciously nourishing drink is both restorative and invigorating, as it’s loaded with superfoods such as raw cacao which boasts minerals and antioxidants. The almond butter enhances the velvety smooth texture, while the ratio of coconut milk to almond milk makes this even more indulgent. The slightly earthy taste of the mushrooms is balanced out by warming spices like cinnamon, ginger, and a tiny pinch of cayenne, adding so much depth to the flavours. 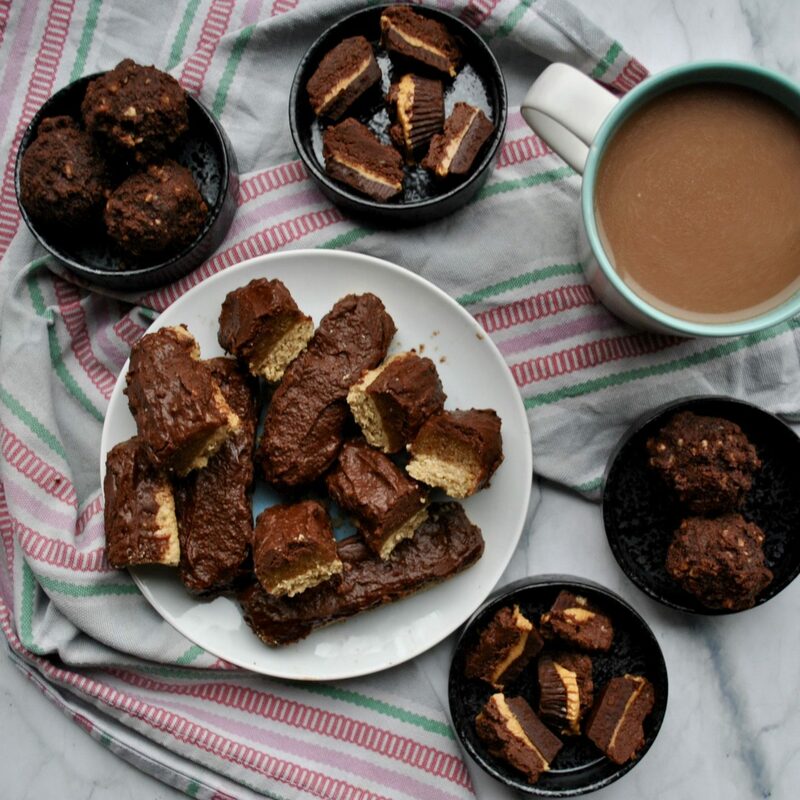 There’s really no need for any refined sugar or artificial sweeteners – it’s low on the glycemic index, sweetened with just a spoonful of date syrup which adds some caramel undertones. 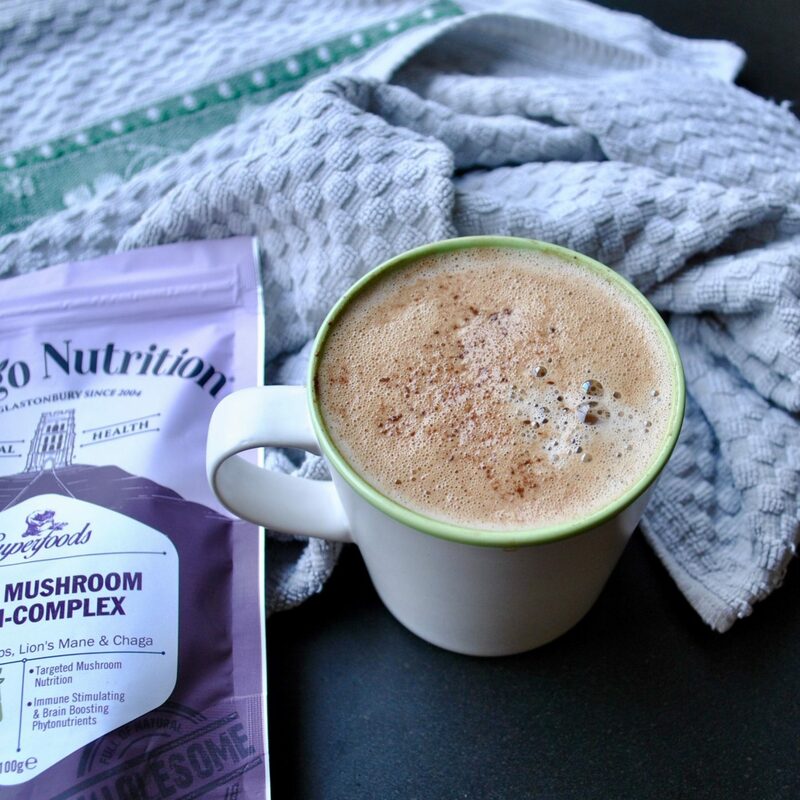 Now on to the ‘shrooms… Certain mushrooms are known as adaptogens, meaning they help the body adapt to stress, fight inflammation, boost the immune system, counteract fatigue, regulate hormones, and basically bring it all back into balance! There are several different kinds of medicinal mushrooms and each one offers a huge spectrum of health benefits. The powder I used contains four: Reishi, Cordyceps, Lion’s Mane, Chaga. Stimulates Nerve Growth Factor production in the body, which can protect brain tissue. Known as the ‘anti’ mushroom – antioxidant, anti-inflammatory, antiviral, anti-cancer and anti-aging! Simmer the coconut milk and almond milk in a saucepan over a medium heat until warm. Pour the hot milk into a blender with all remaining ingredients and blend for 30 seconds until smooth and frothy. Transfer to a mug, sprinkle with a pinch of cacao and serve immediately. Have you ever tried medicinal mushrooms? If you give this a go make sure to tag me on Instagram @cerealandpeanutbutter so I can see your creations! If you want to give some of my other deliciously nourishing hot drinks a go, be sure to try my Cinnamon Matcha Latte and my Golden Turmeric Tonic – both packed with health benefits and equally tasty!